Four sisters from Victoria show us what it means to make doom rock. 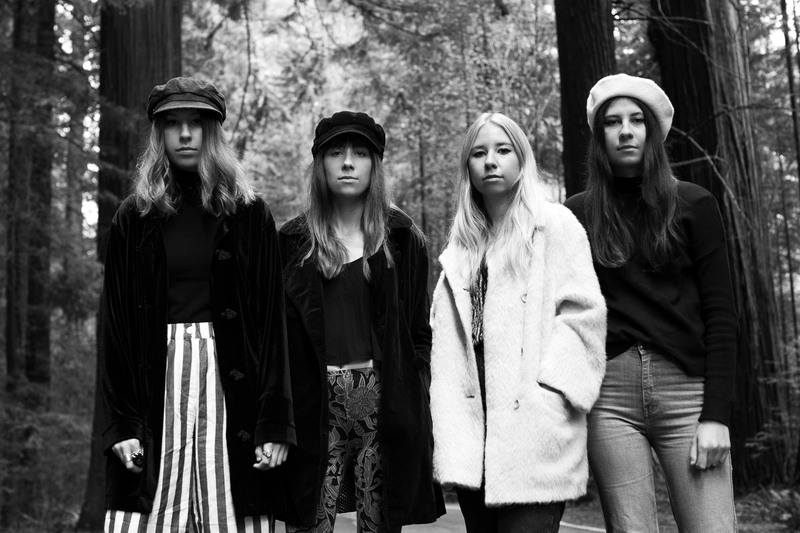 Amy, Hannah, Sarah, and Holly Findlay, the four sisters who make up stoner rock group Stonefield, are from a small town in rural Victoria called Darraweit Guim and have been performing as a band since they ranged in age from just seven to fifteen. Currently touring the U.S. with fellow Aussie band King Gizzard & the Lizard Wizard, today the band is premiering, "Changes," the first single off their new album, As Above So Below. The song sports a swirling chord progression that materializes around it's theme of metamorphosis. It's earthy, assertive and confrontational, mimicking the very unavoidable nature of change itself. "Changes began as a quirky riff that carried over two time signatures. It was a challenge to get our heads around how to make it flow in the context of a song and where we wanted to take it," Amy told The FADER via email. "We eventually decided that some things are best left simple and altered it to fit into a standard 4/4. From there, the song made sense and flowed a lot better. This album has been a series of changes for us. Being one of the last tracks we wrote, this song encapsulates this and the idea of knowing deep down and early on that things need to change." As Above So Below comes out this Friday, April 14. Stream "Changes" below.